Ruth Anne Hardin obituary. Carnes Funeral Home. Ruth Anne Ridings Hardin, 75, passed away November 18, 2017, following a lengthy illness. Celebration of Life: Thursday, November 30, 2:00 p.m. at University Christian Church, 2720 University Dr., Fort Worth, TX 76109, with reception to follow at the church. Memorials: As an alternative to flowers, donations may be sent to TCU for the benefit of the K. M. and Ruth Anne Ridings Hardin Spanish Scholarship Fund, Box 297044, Fort Worth, TX 76129 or to a charity of choice. Ruth Anne was born in Chicago, IL on November 18, 1942, to Paul and Freddie Ridings. She and her family moved to Ft. Worth in 1948. She attended Paschal High School, graduating in 1960, and her choice of which college to attend was an easy one. Her paternal grandfather, J. Willard Ridings, established the Journalism Department at TCU in 1927, and her father, Paul O. Ridings, a TCU graduate, served as Chairman of the Journalism Department and Director of Public Relations. Ruth Anne earned a BA and MA in Spanish from TCU. While there she was a member of Chi Omega social sorority and Phi Sigma Iota, an honorary language sorority. 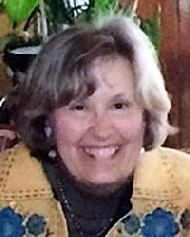 Ruth Anne was an exemplary, dedicated teacher. She taught Spanish for 50 years, primarily in the Fort Worth area. Her longest tenure, nineteen years, was at Fort Worth Country Day, where she taught until she married Ken Hardin in 1999 and moved to Houston. While in Houston she taught at The Kincaid School. Following her husband’s retirement, they moved to Horseshoe Bay, and she taught at nearby Marble Falls High School. Early in her teaching career, Ruth Anne began a program entitled Vivir en Español, in which students from various parts of the world would travel to Mexico in the summer, live with Mexican families, and gain an appreciation for their language, people, and culture. In addition to teaching, Ruth Anne loved music and loved to dance. While in high school she danced with the Fort Worth Civic Ballet and the Fort Worth Opera Association, and as a student at TCU she taught at the Kitty Malone School of Dance. She also loved to travel. She and her husband took many memorable trips, where she frequently served as their translator. Survivors:husband, Ken Hardin; son, Robert Rayel; brother, Paul Ridings Jr. (Mary); and many, many former students.